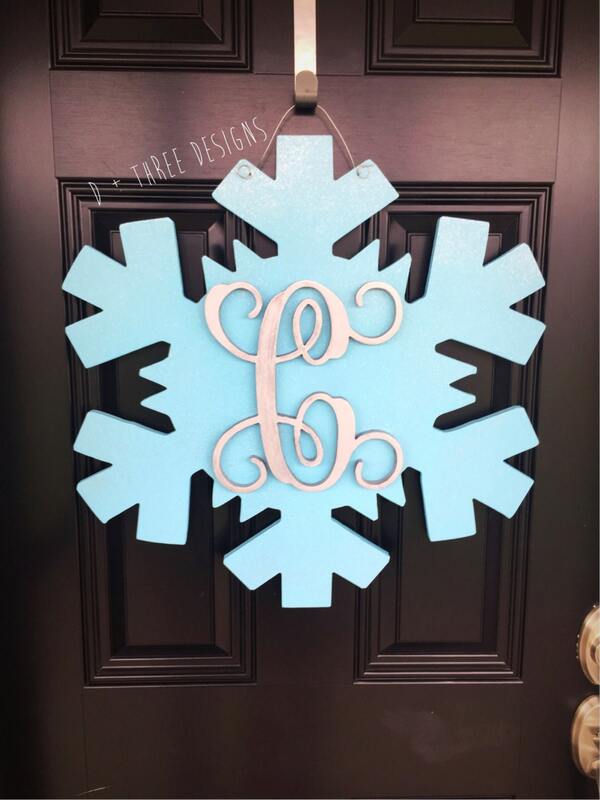 Check out this cool light blue shimmering snowflake monogram door hanger. 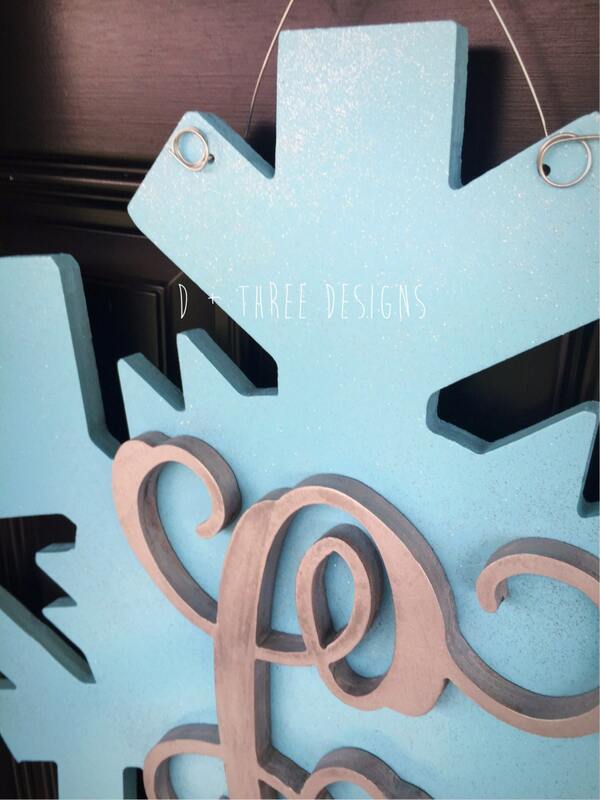 It is hand painted with perfect color combo of your choice, monogram of your choice, and topped with a silver shimmer dust to sparkle like real winter snow. If you would like to change the colors, please note that in the notes to seller box. This is the perfect piece for any wall or door. This is made on 1/2 birch wood, hand painted, sealed, and with a metal wire for hanging straight out of the box. 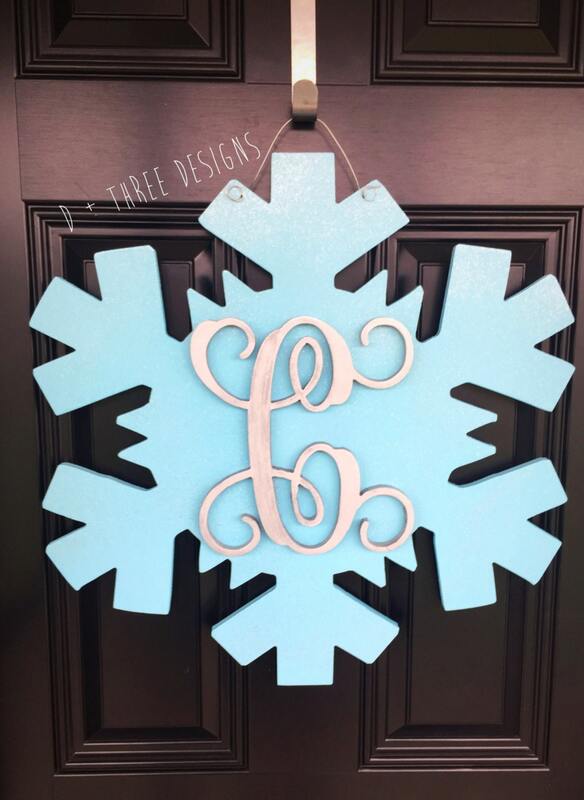 This snowflake door hanger measures appoximately 24" tall. It is LARGE! Wonderful work and such a great addition to our winter wedding decor! I was surprised how stunning this is in real life. The sparkles are gorgeous and the piece is quality made. Looks wonderful on our front door. Very pleased with this purchase! The snowflake is beautiful! It looks great on my door and is very well made. Just a great looking decoration - big and bright and beautiful! Can't wait to hang it for January! Thanks for such a quick shipment as well!